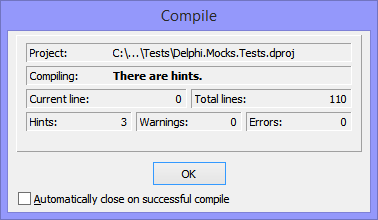 Welcome to my shiny new web blog, "Hit Compile and Run!" Dedicated to my ongoing efforts to embrace and explore Embarcadero's ambitious 'true native' cross-platform vision for mobile computing using Delphi (and C++ Builder), this blog is a place of refuge for software engineers everywhere who believe they still have the right to code native applications for maximum performance - even, if not especially, on mobile platforms. It also aspires to be a place where cross-platform Delphi/C++ coding discipline is emphasized. Real-world services, big-data issues, and custom non-visual components will be heavily featured over simplistic "Hello, World!-style examples. Go On - Hit Compile & Run!